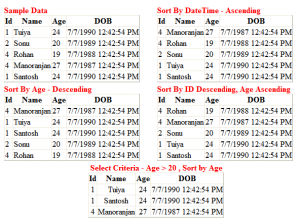 DataTable in C# have very reach features to store the data in Tabular forms and also to display sorted or selected data on predefined category. 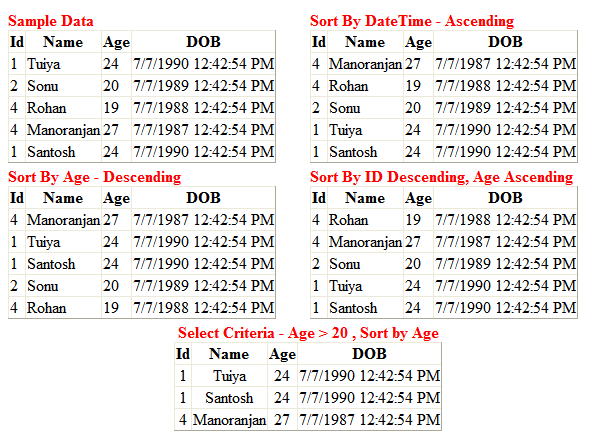 Below i have provided the source code which demonstrates that how to select and sort the Datatable in ASP.Net. /// Prepares the table for Data.